ElAmigos release, game is already cracked after installation (crack by Ali213 or Codex). Updated to version 1.3.2.5 (10.10.2018). 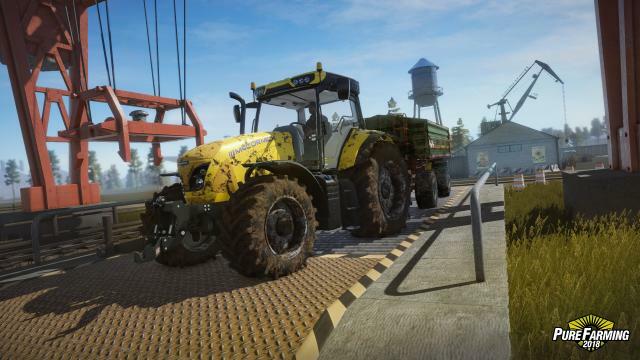 DLC list: Versatile 4WD 610, Zetor Major CL 80, Joskin Pack, Montana Goats, JCB Fastrac 8330, Mitsubishi L200 Monster, Landini REX 4-100F, Goats, Supporter Shirt, Orange Orchard, Special Outfit Pack, JCB Large Wheeled Loader 435S, Lindner Geotrac 134ep, Gomselmash Palesse CS-200, Germany Map. SKIDROW Release !!! Pro navolení CZ lokalizace otevři v textovém editoru "C:\Users\"Tvé uživ. 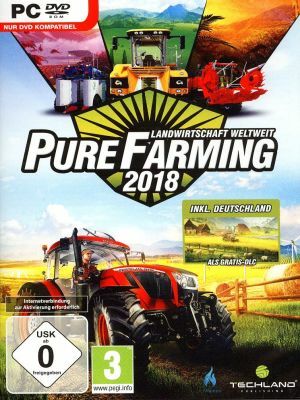 jméno"\AppData\LocalLow\Techland\Pure Farming 2018\Game Save\"Tvé ID"\AdditionalInfoPF.psav" a uprav hodnoty na "selectedLanguage":"Czech","isLanguageSet":true". Složka "AppData" je implicitě Windowsem skryta !!! !!! Je vyžadován "Update 1.1.2" !!! !!! Je vyžadován "Update 1.1.3" !!! !!! Je vyžadován "Update 1.1.4" !!! !!! Je vyžadován "Update 1.1.5" !!! !!! Je vyžadován "Update 1.2" !!! 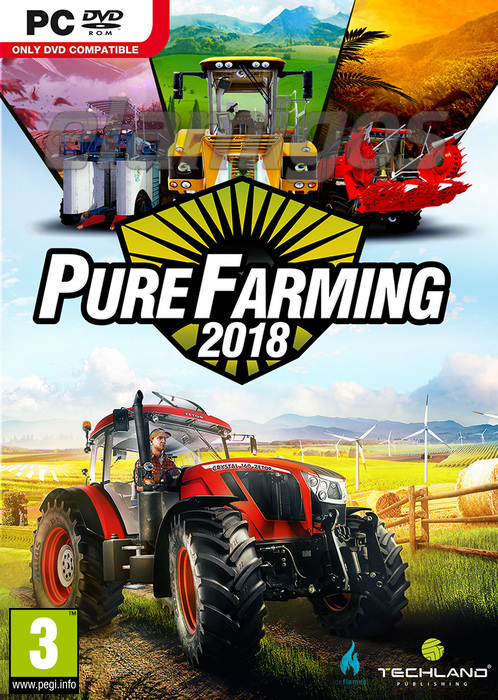 Feel the life of a real farmer in all its glory with Pure Farming 2018: Digital Deluxe Edition! Open a new territory in Germany with unique opportunities - growing rapeseed and sheep; get access to three specialized cars and 4 special suits. Farmers are again in a trend: it's time to reach the world level! 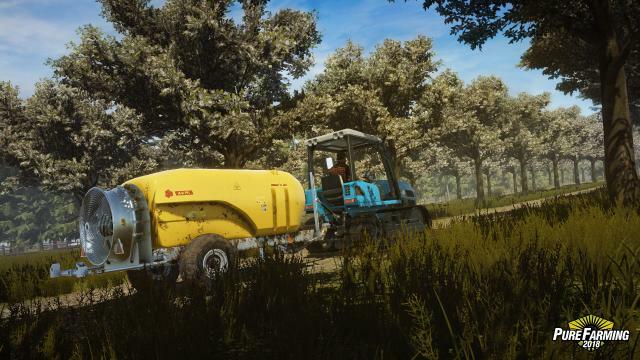 Put the latest technology and modern licensed machines in the service of agriculture! Travel through Europe, Asia and America and take care of the plants that are characteristic of these regions, whether it be hemp, coffee or olives. 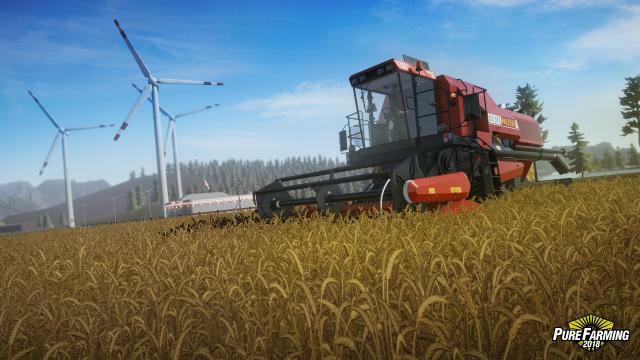 Explore all aspects of farming in three unique game modes, suitable and experienced players in simulators, and beginners. ▪ All in one - test your strength in any aspect of modern farming: livestock, horticulture, greenhouse cultivation, tillage, renewable energy and much more. ▪ Licensed equipment - use machines from industry leaders: Zetor, Landini, McCormick, Gregoire, DAF and Mitsubishi, recreated in full accordance with the originals, including mass and mechanics of operation. Dive with them in the atmosphere of modern farm management! ▪ Global scale - travel to farms in Italy, Colombia, Japan and the US state of Montana. Grow unique plants for these regions and use the original specialized equipment - a rice-planting machine, a hemp harvester and others. ▪ Agriculture for all - three game modes for different styles of play. Enjoy your own farm without restrictions, learn the basics of agriculture or experience your own farmer's skills! ▪ Beautiful landscapes - enjoy the stunning nature of the four continents in a stunningly realistic schedule. PLAZA Release !!! Hra je aktualizována na verzi 1.4 !!! NOTES: This release is standalone and includes all content and DLC from previous releases and updates. The game is updated to v1.4.